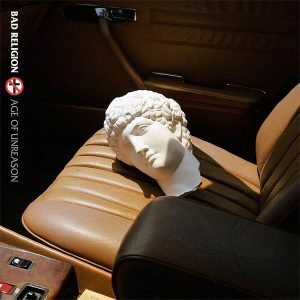 Bad Religion’s ‘The Age of Unreason’ Album Review – Spotlight Report "The Best Entertainment Website in Oz"
Bad Religion songs are easily identified with their iconic fast-paced yet melodic sound. It is a band you quickly become familiar with. Love them or hate them, Bad Religion’s sound is consistent; something you can rely on when the world changes around you. One of the most powerful songs on this record is The End of History, a song about how America has descended into chaos. With lyrics like crimes against eternity, the song takes dark look at destruction and division in the era of President Trump. It urges listeners to think carefully before they vote, before they act to save the world from an untimely and tragic end. And in Chaos from Within, the band examines the controversy of the border wall with a deceptively catchy melody which pulls you right in. The lyrics warn that despite history using walls to keep out the supposed enemy, the dangers and chaos are coming from within America itself. Its lyrics are poignant and straight to the point: Threat is urgent, existential / with patience wearing thin / but the danger’s elemental / it’s chaos from within. With references to current events in the US and tributes to many of the band’s literary influences, The Age of Unreason is the album is full of thought-provoking songs and killer riffs that almost make you glad the world is always falling into one kind of chaos or another because their anger is what gives their music the power and the drive to make the world better. Bad Religion is a great band for fans of punk who want to flirt with something a little heavier and don’t know where to start. Out May 3 via Epitaph records, this is one you won’t want to miss! 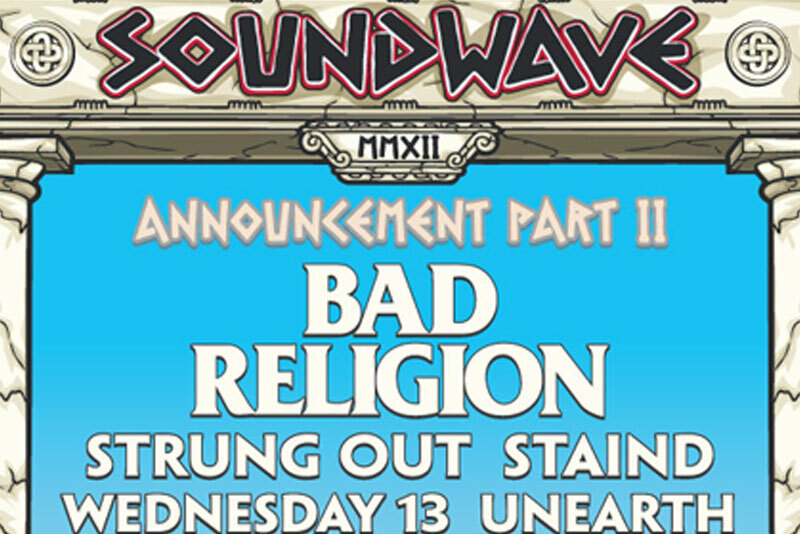 Soundwave 2012 – Second Announcement featuring Bad Religion, The pretty Reckless and Wednesday 13! Soundwave Revolution: Official new poster with complete line-up featuring Van Halen and pre-sale dates announced!